Malicious software is everywhere online. Having properly installed, functioning and up-to-date security software is a vitally important part of protecting your computer and your information. Tech to Us offers two great software solutions to help keep you and your computer safe. 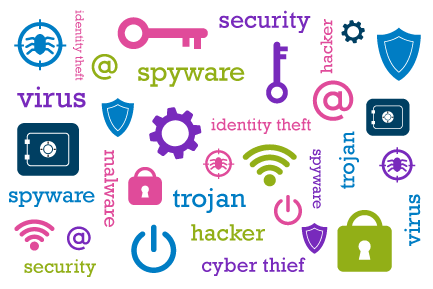 Tech to Us Virus Slayer and Tech to Us Spyware Detective are simple, affordable and highly effective programs designed to keep malicious software threats from infiltrating your system. Our software is designed to be minimally intrusive and use far less resources then the “big name” solutions. We believe a security solution should keep you safe, but not at the expense of slowing down your system. Tech to Us Virus Slayer and Tech to Us Spyware Detective are an efficient and powerful one-two punch against malicious software! Fast and effective protection against viruses and malware. Utilizes high performance antivirus detection to help keep your PC safe. Our scanning engine is optimized so it doesn’t utilize a lot of system resources. This means Tech to Us Virus Slayer won’t slow down your system like other anti-virus software. Advanced detection will help better detect threats and suspect files. All major types of threats are detected. Tech to Us Virus Slayer is always running and checking files. As soon as a threat is detected, the software will take action to prevent infection. Whereas other anti-virus software may only update weekly, our software automatically updates up to multiple times per day to ensure that your system is always protected against the latest threats. Tech to Us Virus Slayer is compatible with all recent versions of Windows; including the latest version, Windows 10. Free basic installation support included. Tech to Us Unlimited Support Plan customers have advanced support for more complex issues and help in the rare instance where the software is unable to automatically remove a threat. Second level of protection against malware and spyware. Additional detection capability and advanced registry cleaning ability. Our scanning engine is optimized so it doesn’t utilize a lot of system resources. This means Tech to Us Spyware Detective won’t slow down your system like other anti-malware software. Advanced detection will help better detect threats and suspect files. Additional types of malware threats are detected. Scans and cleans the Windows registry to remove traces of malware. Tech to Us Spyware Detective is always running and checking files. As soon as a threat is detected, the software will take action to prevent infection. Software automatically updates up to multiple times per day to ensure that your system is always protected against the latest threats. Tech to Us Spyware Detective is compatible with all recent versions of Windows; including the latest version, Windows 10.